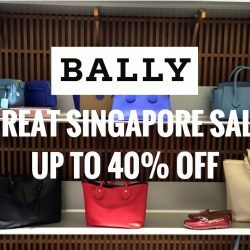 The Switzerland high fashion label Bally has kicked start their GSS sale with up to 40% off! Shop their range of luxury shoes, bags and accessories from today at Bally boutiques island-wide. The Switzerland high fashion label Bally has kicked start their Autumn Winter sale. Shop their range of luxury shoes, bags and accessories from today at Bally boutiques island-wide! The Switzerland high fashion label Bally has kicked start their mid-year sale. Shop their range of luxury shoes, bags and accessories from today at Bally boutiques island-wide.